Guys, I totally hit the jackpot. Seriously. Amazing isn't it? That's a rhetorical question, it's obviously amazing. But, being the cheap frugal person that I am, I wasn't about to spend half of Saydee's college savings on it. So, I hunted high and low, near and far. Actually, it was pretty much a godsend and I found my knock-off in the first store I walked into. Have I told you about my love for World Market? They have the most amazing little trinkets and I always walk out with something fun! Well, WM came through for me once again. 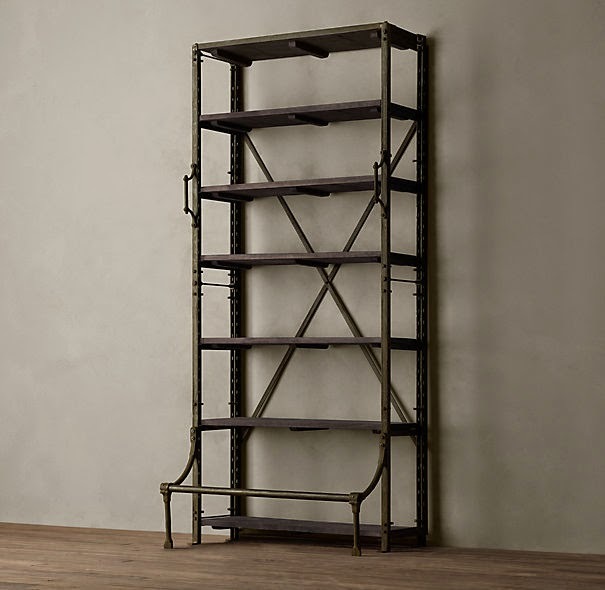 I found this AMAZING shelving unit that looks nearly identical to the RH one I adored!! It's a little shorter and wider, but it was exactly what I needed! Guess how much I paid for it...it was on sale...wait for it....$219!!!!!!!!!!!!!!!!!!!!!!!!!!!!!!!!!!!!!!!!!!!!!!!!!!!!!! <----Yes, I was that excited. 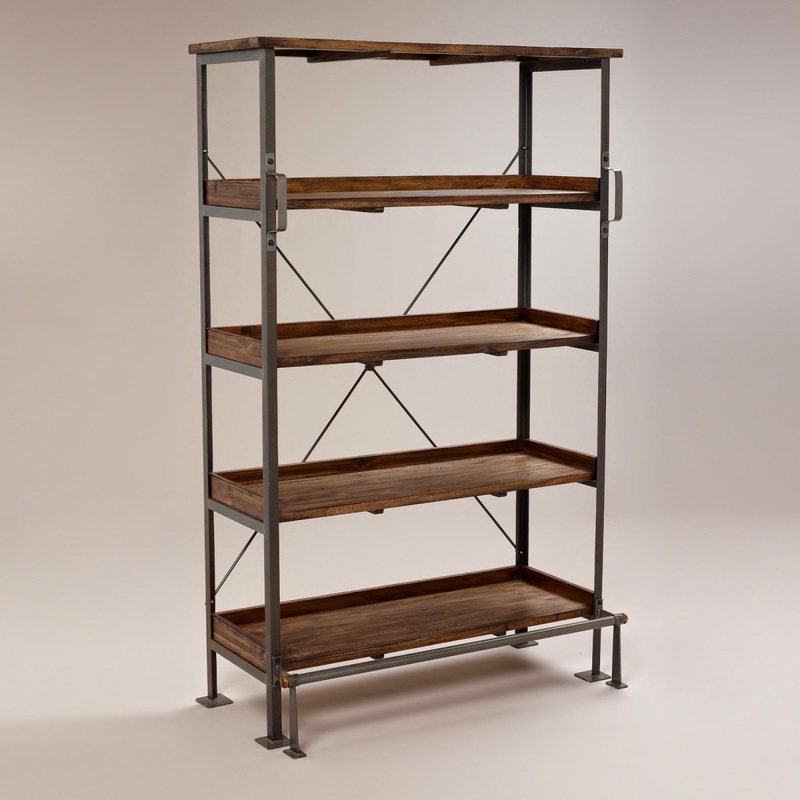 I am so pumped about this shelf and love finding cute pieces to decorate with. It's not finished yet, but it's a work in progress. I just love how it looks in our living room, and you seriously can't beat a deal like that! Wow what a deal! You are quite the interior decorator. :) Cost Plus is a great store, i am surprised i don't go there more often. Not an interior decorator by any means!! ;) I'm trying my best though! Cost Plus is amazing!